Located in northeastern Tanzania, Arusha is a popular city for tourists looking to visit Arusha National Park and surrounds. The area draws tourists from around the world for its picturesque landscape rich in foliage and lakes. Tourists mostly come to see year-round residents like colobus monkeys, leopards, zebras, warthogs, elephants, lions and many more. When planning a trip to the city, it’s highly advised to stay in one of its glamorous lodges that include safari game drives. 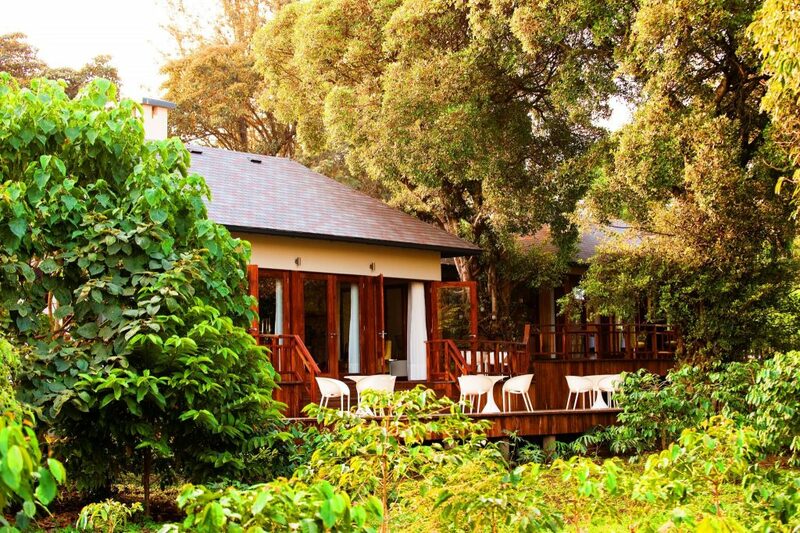 These lodges in Arusha are calling your name. Stay in a home away from home at Lake Duluti Lodge, where luxury meets nature. The lodge is situated on the banks of Lake Duluti and has 18 chalets on its 30-acre coffee farm on the outskirts of Arusha. Lake Duluti Lodge maintains its cozy atmosphere to make guests feel as if they’re visiting a friend than a busy resort. 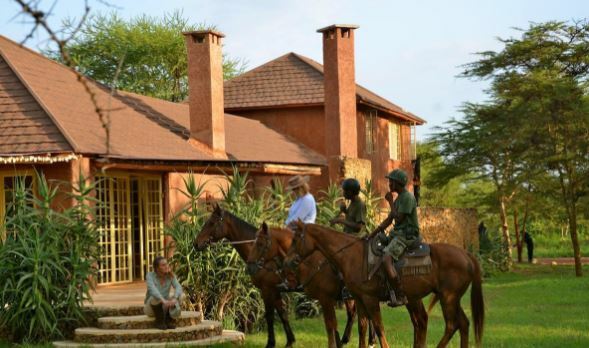 Activities include horseback riding tours, safari game drives, boating and more. Get a view of majestic Mount Meru (and Mount Kilimanjaro in the distance) from your hotel room at Hatari Lodge. The lodge has a retro design using styles from the 50s, 60s and 70s with modern influence, giving guests a stylish retreat. Step outside and it’s common to find grazing giraffes, waterbucks and antelopes coming near the terrace of the lodge. International cuisine is prepared fresh daily for guests and during breakfast, visitors can dine in the terrace among acacias and the stunning view of the park. Game drives are offered on the premises. You’ll literally wake up and smell the coffee here. That’s because at Kigongoni Lodge, you’re literally staying at a 70-acre wide coffee farm next to Arusha National Park. 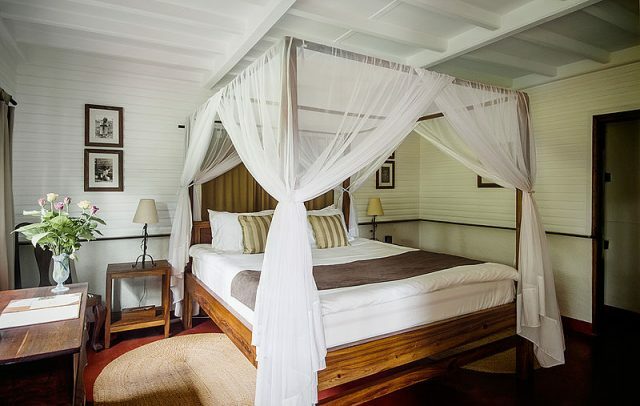 There are 18 private cottages that can be rented per night that are decorated with African motifs and mosquito net beds. Each cottage has its own terrace with a view of the coffee farm and the rooms will either give you a view of Mount Meru or Mount Kilimanjaro (depending on which side of the lodge your room faces). Expect to find a dining room in the main building serving up European and African fare, which uses only locally-sourced ingredients from nearby farms. And of course, don’t forget the coffee. You won’t find a fresher batch than this. You won’t believe this place is a real place on Earth. Ngare Sero Mountain Lodge is a haven for nature and animal lovers that was built 1905 and is tucked away in a forest with swinging monkeys. Look outside of your room and you’ll find horses frolicking in the garden. The hotel is Colonial-style with a veranda overlooking the forest and a lake. Activities include horseback riding, birdwatching, fly fishing, boating, nature walks and more. Not to mention, wildlife game drives are also given to its guests. Immerse yourself in Arusha’s natural beauty by staying at Mount Meru Game Lodge & Sanctuary. The swanky lodge focuses on its rustic and urban decor to make guests feel as if they’re staying in a hip accommodation surrounded by mango trees. A spacious pool is surrounded by a garden and poolside dining tables where guests eat their meals. 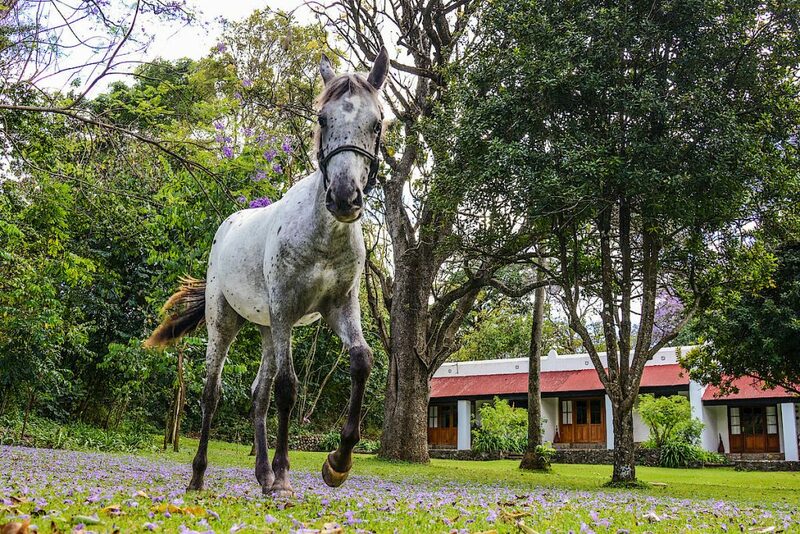 Because of its location, activities include a coffee farm tour, golfing (the lodge has its own golf course), and cultural walks to meet the locals. However, the real stars of the lodge are the animals living in its sanctuary. There, you’ll find curious zebras, ostriches, colobus monkeys and a variety of birds. 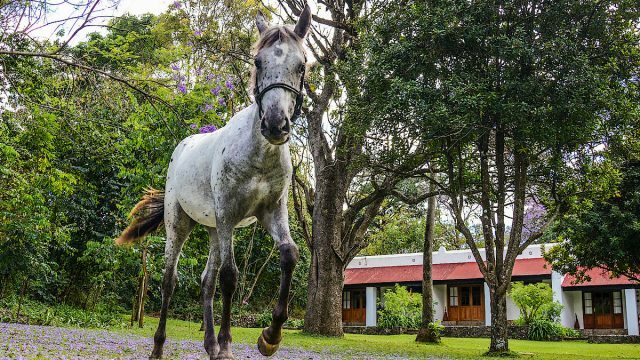 Located on a private estate in Arusha, Lemala Kili Villas is the perfect oasis to get your dose of wildlife and safari adventures while enjoying the perks of staying in a luxurious accommodation. Golf lovers, you’ll love this. The villas have their own 18-hole golf course where you can hit a hole in one while viewing grazing antelopes in the distance. Activities also include horseback riding, game drives, hiking and canoeing. There are only four villas available per night, so it’s advised to reserve your spot as soon a possible. But once you get your reservation, you’ll love your villa as each one gets its own pool and private access to a garden patio. Alexis Mass Borochoff is a professional writer and painter currently living in South Florida. A restless wanderlust, she has lived in New York, Atlanta, Tallahassee and Orlando searching in vain for a home that doesn't exist. She paints people's pets in Victorian attire and is an avid collector of daguerreotypy photographs. Her idea of fun is visiting hole-in-the-wall restaurants for authentic cuisine, browsing antique malls and retiring the day with an intriguing non-fiction book. She is also fluent in American Sign Language.